The Huangpu River is the beating heart of Shanghai, and the Bund waterfront that runs alongside its edge is one of the city’s most popular destinations for locals and visitors. The North Bund area within Hongkou District is one of the city’s key historical precincts and is currently being revitalised into a lifestyle hub, with over seven million square metres of office buildings, restaurants and shopping malls under construction or recently completed. 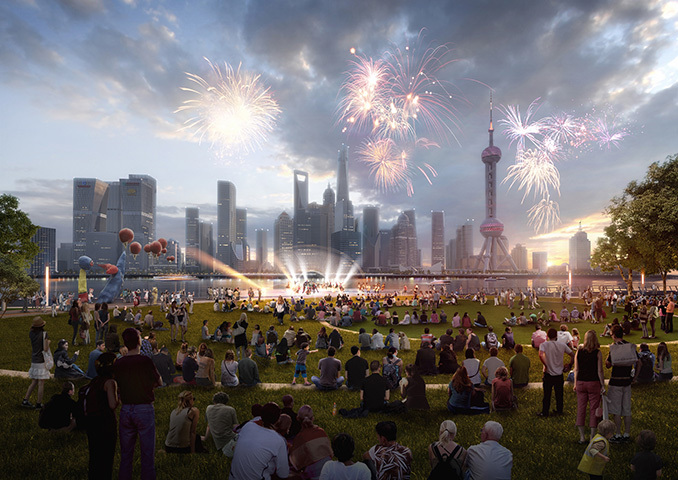 And at the same time, a larger vision by the Shanghai Municipal Committee and Government is underway to open up public access to many parts of both sides of the river waterfront and create connections through all of its districts and unify the various renewal efforts. 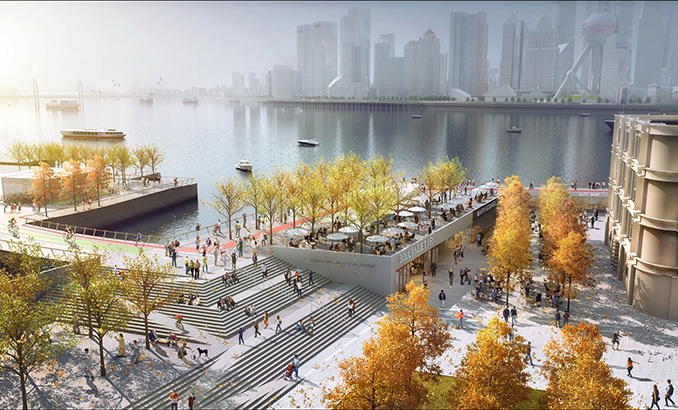 The Hongkou District Planning and Land Authority engaged HASSELL to undertake the North Bund Waterfront masterplan in an effort to open up public access to both visitors and local residents of the district. HASSELL was asked to connect sites located along the waterfront, as well as connect to multiple sites under renewal within the district down to the water – and activate key sites with public programming. The HASSELL vision stitches together the many parts of the site to unlock the North Bund’s potential as a public haven and restores its unique green historic identity – creating a garden waterfront overlooking the Huangpu River from Hongkou district. 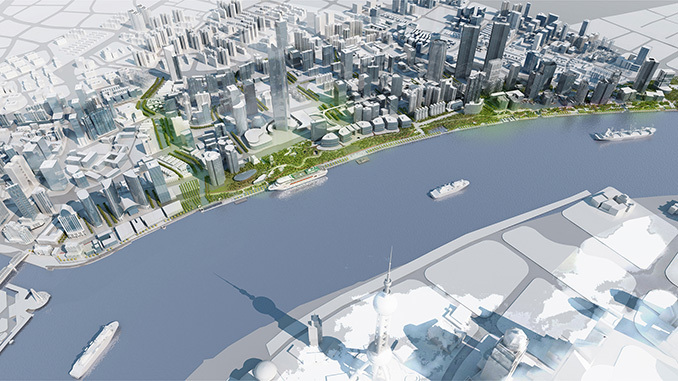 Once again, residents will be connected to the Huangpu River and the district will be valued as a place for people. With this vision in mind, HASSELL employed a number of key strategies at a variety of landscape scales to address the current issues hampering the site’s future potential. The North Bund contains a variety of architecturally historic areas, and we looked to build places of unique character around Hongkou’s existing heritage assets within the site, including the former Japanese Consulate to Shanghai. Key to achieving our vision has been to create a continuous waterfront area with active paths. 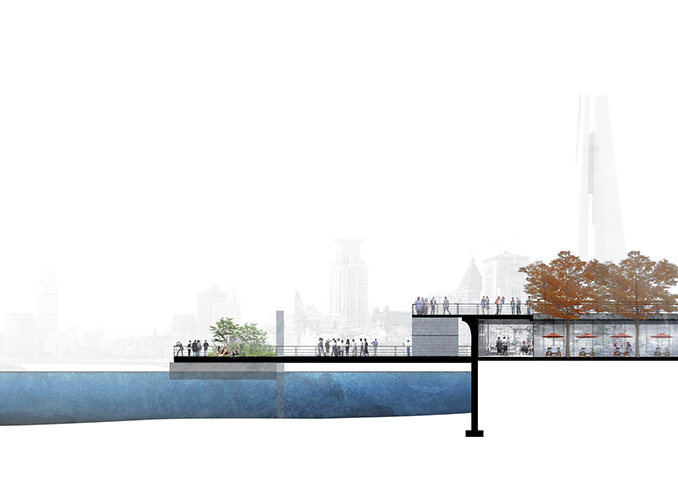 People will be able to walk, cycle or jog along 2.5 km of the Huangpu River, with previously disjointed areas being connected up. Set in the parkland is the introduction of a Garden Walk – a light-filled, covered pedestrian thoroughfare through dense greenery, linking the district’s many hotels along North Bund and creating a scenic promenade that connects visitors to both the city and its river edge. HASSELL layered a site-wide strategy of event programming within the design response for the riverfront focused on using the new range of green riverside spaces as community amenities for cultural and entertainment activities throughout the year. Implementation of the HASSELL masterplan and landscape architectural design for the waterfront promenade works will begin this month through engagement with existing district stakeholders. 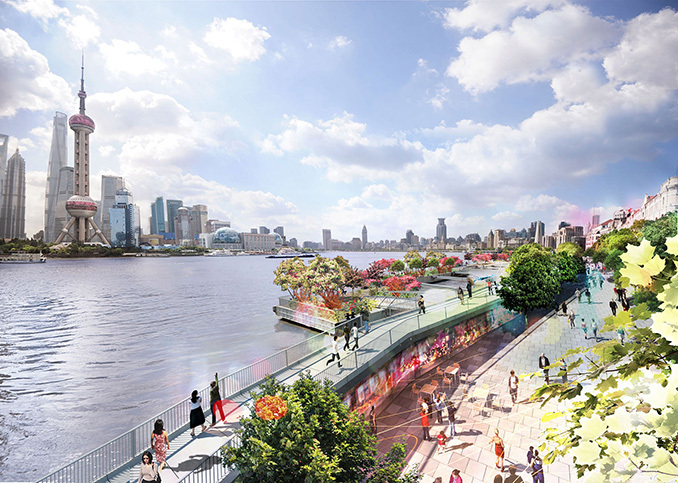 The Hongkou North Bund project was a direct commission to HASSELL, following the participation by HASSELL in the Huangpu East Bank Urban Forest competition in mid-2016.